At this point in my life I've spent more than half of my years under the bar, on the field, and in the gym. In those 13+ years I've managed to do a few things right. But I've also done wayyyyy more things wrong. My first mistake was to willingly use machines. Now, don't get me wrong, machines can prove to be very useful...if you're injured and have no other choice. But even a halfway decent trainer should be able to find some free weight exercises for you to do while rehabbing your injury. The most embarrassing part about my past use of machines was that it wasn't how I started out. Usually most people will start training with weights by doing circuits on the machine. This is because it's easier to do and much less intimidating. No judgement from me, as long as you're moving more than you used to I'm cool with it. But I started as a powerlifter. By the time I was a junior in high school I had some respectable totals under my belt for a 170 pound 16-year-old. After I topped out at a 515 deadlift, 445 squat, and 300 bench something in my mind switched gears. Maybe it was the usual suspects (muscle magazines, tv, movies, etc.) or maybe it was laziness. I really don't know what caused, but I do know that it set me back a few years of good, quality training. You see...not only did I miss out training like a real man, but I'm also convinced my obsession with machines led to my ACL tear. I can still see where it all went wrong. The leg extension was my favorite machine. Why? For the same reason that most people like things...I was good at it. I could load it up with 45 pound plates and knock out upwards of 20 reps. In my 18-19 year old mind that was incredible. Why the hell should I worry about improving my deadlift form when I can just go do leg extension after leg extension and feel good about myself? Looking back at it now I can see just how wrong I was. It doesn't make me feel bitter because, in the end, I was able to rebound from it and get to the point where I can continue to progress. The best part about all of this, especially for you, is that after all the mistakes I've made (you'll hear about more this week) I was able to prune out the unnecessary and focus my training on only the things that work. 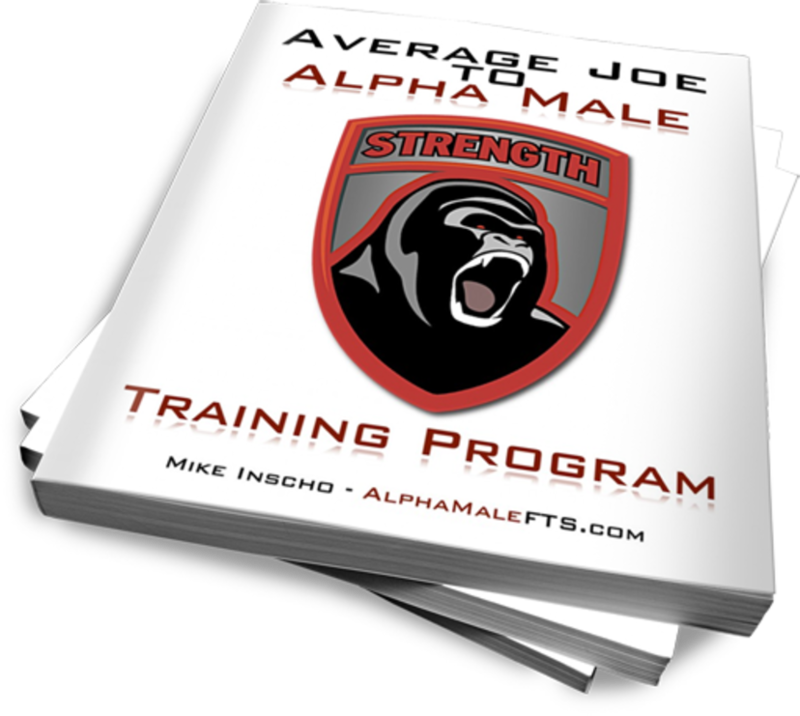 All of these time savers and effective approaches are what makes up the Average Joe to Alpha Male training guide. Speaking of the Average Joe to Alpha Male training program...it's in the middle of launch mode right this second. If you've already missed out on pre-release I highly suggest you pick it up now. The good news is that I'm consistently improving and adding to the guide, but the bad news is it will never be on sale...and with each addition the price will go up. Take advantage of the lower price now and you'll be grandfathered in...every update and change we make will be sent to you before it's made public and it will never cost you any extra.